Natural Stone Countertops: Just the latest trend or here to stay? Natural stone countertops in Tampa Bay are extremely popular for residential and commercial countertops. Designers love them, homeowner prefer them, and real estate agents recommend them. Why the popularity and demand? Are they just a trend for today and will they fade away? All good questions and in this article we will discuss why they are popular and the future or natural stone countertops. If you’re thinking about buying natural stone countertops in Tampa Bay, then you will want to keep reading. Natural stone countertops are popular for many reasons. Some of the top reasons include: quality, durability, choice of colors and design styles, easy maintenance, and investment potential. Let’s look at each of those reasons in more detail. Quality – Natural stone countertops have one of the highest qualities of any countertop material. This is because they are made from natural stone, they undergo an intensive finishing process, and they are made by experienced craftsman. If you purchase them through a high quality company their quality is very impressive. This high quality adds a luxury look and feel to any space. 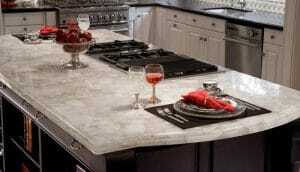 Durability – Since natural stone countertops are made from “natural stone” they are extremely durable. They have a heat resistance that is above anything in your kitchen, they can endure even the messiest cook, they don’t scratch, and when properly sealed they are very difficult to stain. When compared to other countertops they outperform nearly everything on the market. at a real countertop company. Home improvement stores that resell countertops only have a small fraction of what is available. Easy Maintenance – The daily maintenance of natural stone countertops is very minimal. Simply clean with a cloth and water. Depending on the type of natural stone you may need to seal the countertop on an annual basis or when needed. The sealing process is actually very simple as well. Typically, only involving applying the sealer and cleaning off the excess. Investment Potential – Real estate agents and home remodelers will recommend natural stone countertops due to their high return on investment. Adding them to kitchens, bathrooms, laundry rooms, bars, and even commercial properties will increase the overall value. This is commonly one of the most important improvements recommended before selling a home. Those are just some of the top reason why natural stone countertops are so popular but there are many others. It is easy to understand why so many people choose natural stone for countertops in Tampa Bay. However, will this continue to be true? Are Natural Stone Countertops Just a Trend? There are many home building products that are popular one day and not popular the next. Over time the general likes and dislikes of the population do change. However, not all building materials go out of style. Natural stone countertops are one of the materials. Natural stone has been used for literally thousands of years. As a countertop material natural stone can be found throughout the world and throughout time. Only recently in the last 50 years has the amount of different colors and patterns increased. This is mostly due to increased technology and demand. With vast amounts of natural stone resources available and the increase in popularity of natural building materials. It is likely that natural stone countertops will actually increase in popularity even more. That means they are not just a trend today. Where to Get Natural Stone Countertops in Tampa Bay? Would you would like to learn more about natural stone countertops? Then your best option is to visit a natural stone countertop company in Tampa Bay. We at Tampa Bay Marble & Granite are a factory direct fabricator and installer of natural stone countertops and are experts in the industry. Give us a call or request more information through our website today! 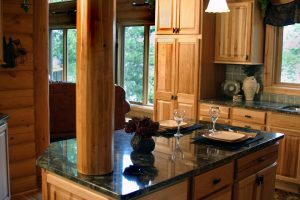 Should You Buy Precut Granite Countertops? Gray Granite Countertops – Are They the Perfect Granite Color?